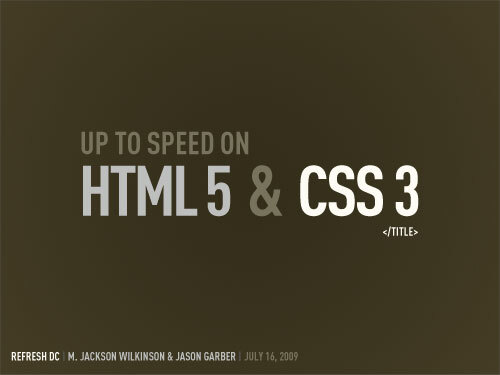 Searching for some html5 and CSS 3 info for my own personal projects, I stumbled upon this easy-to-read and informative slide deck by M. Jackson Wilkinson, designed to familiarize the viewer with the latest and greatest internet specifications. An added bonus to the stellar content? It looks great too.